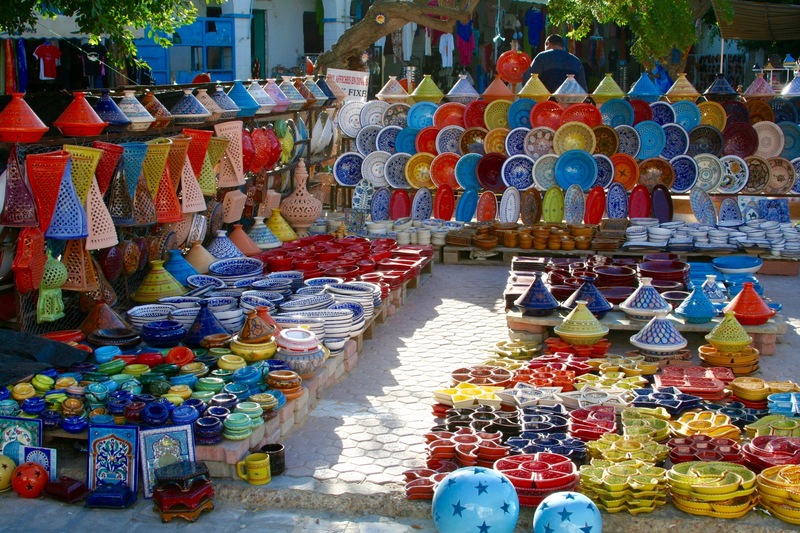 The island of Djerba comes with a storied history. 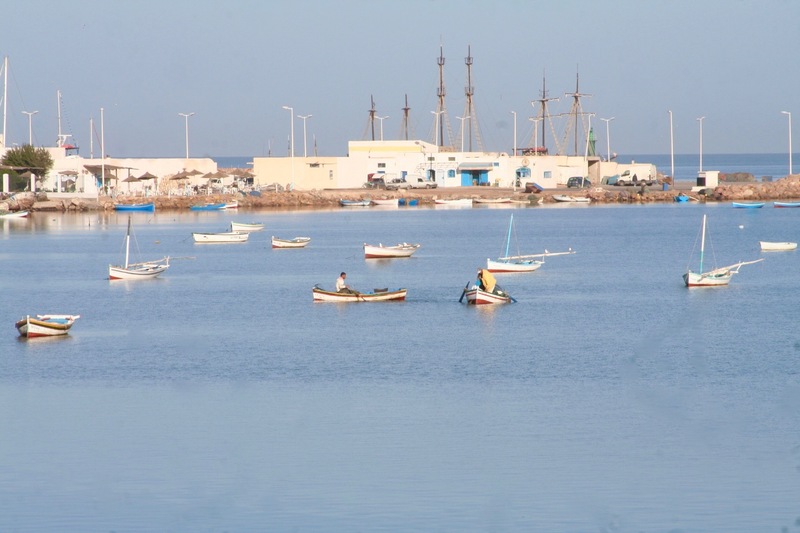 In Homer’s ancient Greek epic, The Odyssey, Djerba is the Land of the Lotus Eaters where, after a decade of war with the Trojans, Odysseus – Ulysses as he was known to the Romans – is stranded while trying to return home to Ithaca. On land the islanders feed his crew lotus flowers. Instantly falling into a dream-like state, they forget their desire to return home until Odysseus forces them to sail away. The 19th century English poet, Alfred, Lord Tennyson, described this incident in the poem The Lotos-eaters: “In the afternoon, they came unto a land, in which it seemed always afternoon. 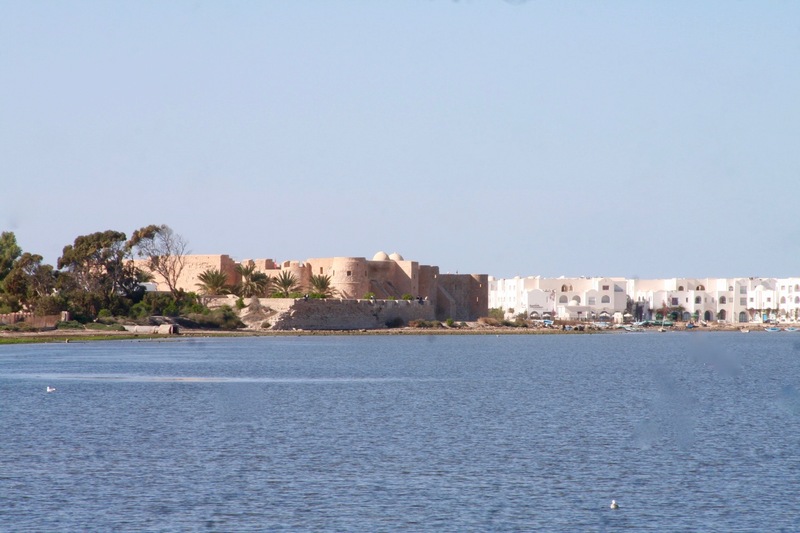 All round the coast the languid air did swoon, breathing like one that hath a weary dream.” The general impression is that Djerba’s a place where otherwise industrious individuals are lured to indulge in the sin of sloth (and probably others of the more deadly sins). Today, it’s charms are much the same, with sandy beaches, clear Mediterranean waters and delicious food luring people to relax and forget the world for a day or two. This had been my plan, but the fates were against me and I arrived on Djerba with only a day to spare. 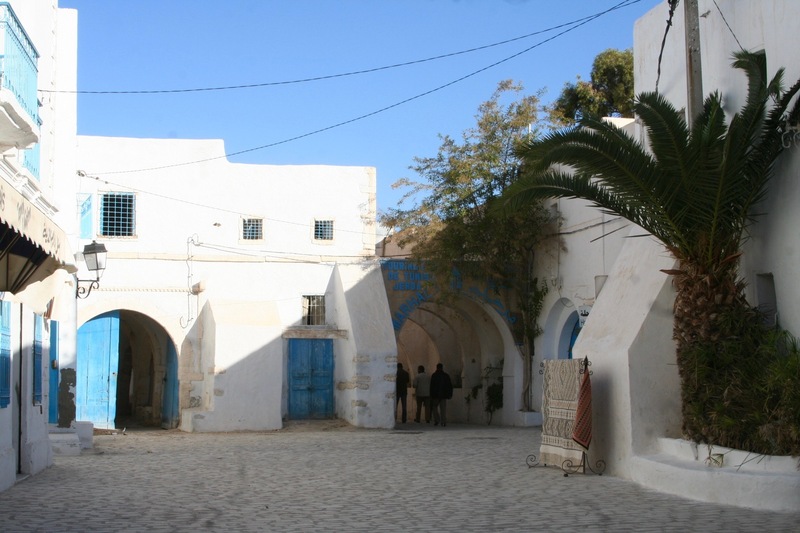 There’s too much history and culture to explore to waste on a day at the beach, so I spent my time wandering around the island’s main town, Houmt Souk, and one of the Arab World’s few remaining Jewish communities, Hara Kebira. I arrived on the island via the 6th century BC causeway, known as the Roman Road it was originally built by the Carthaginians. This gives a hint of just how ancient human habitation is on the island. It was fought over, conquered and occupied by Romans, Byzantines, Normans, Arabs and Turks until, in 1881, the French arrived. 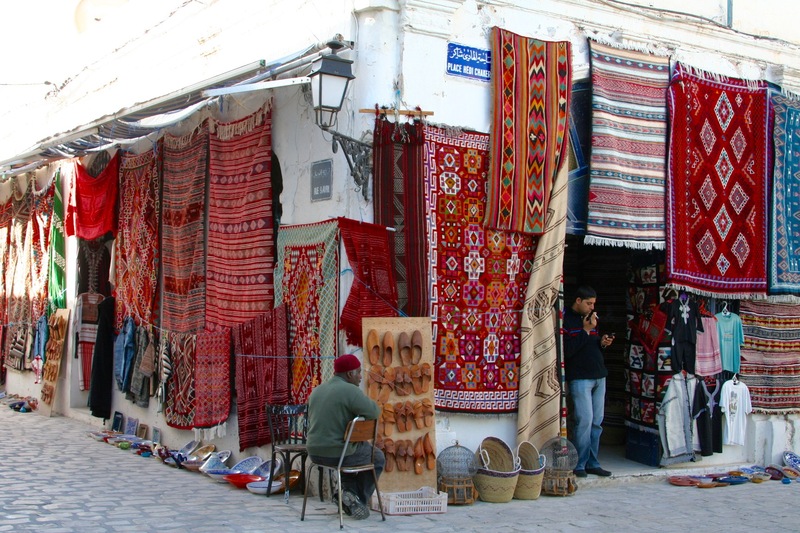 Traces of all these cultures are still found around the island, but it is Djerba’s Jewish history that attracts most attention, mainly because it’s a living history. The island’s Jewish community dates back 2,500 years, and hosts one of the oldest synagogues in the world. El Ghriba synagogue has been in continuous use for around 2,000 years, and is a focal point for what remains of the Jewish community. 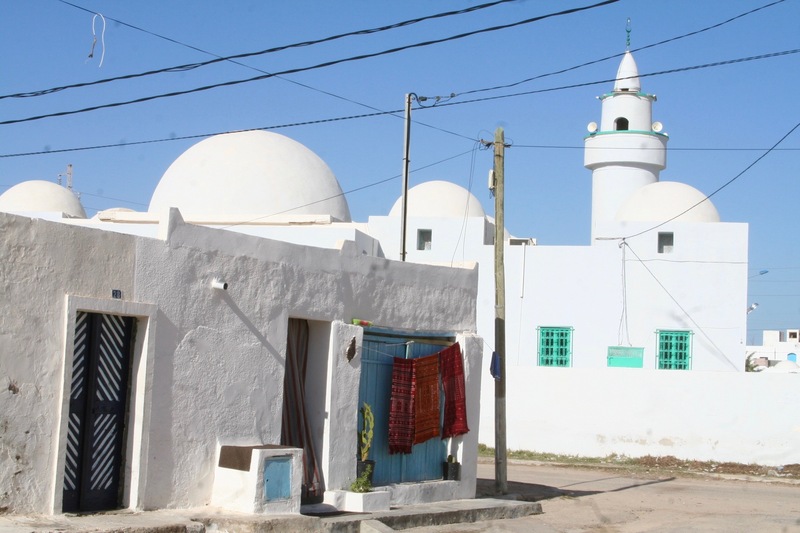 Tunisia was once home to over 110,000 Jews, today that number is closer to 1,500, the majority of whom live on Djerba in two distinct areas: Riadh and Hara Kebira. 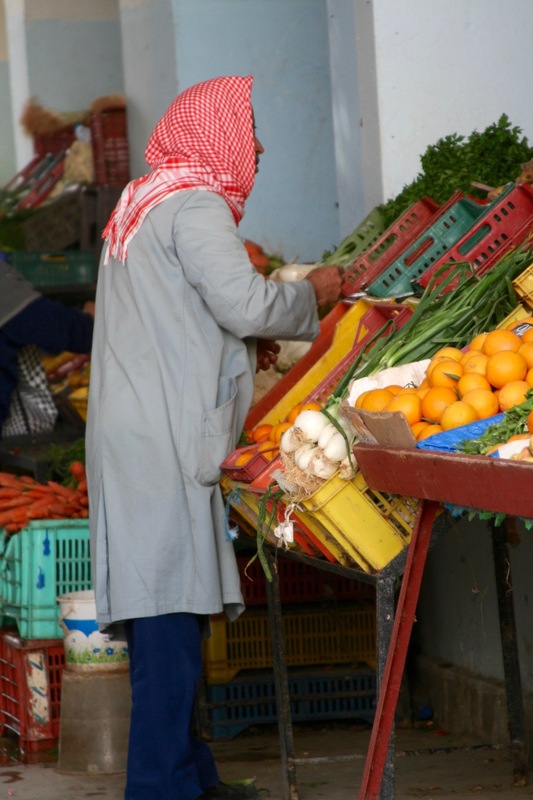 Attacks against the community have occurred, but these days the Tunisian authorities provide protection. I started my day in the maze-like town centre, this is where the main souk is found and where the city does its shopping. It was early so I sought out coffee and pastries while sitting in the shade watching the world go by. Despite being touristy, this is a relaxed place and there is little of the hassle associated with other tourist areas in this part of the world. 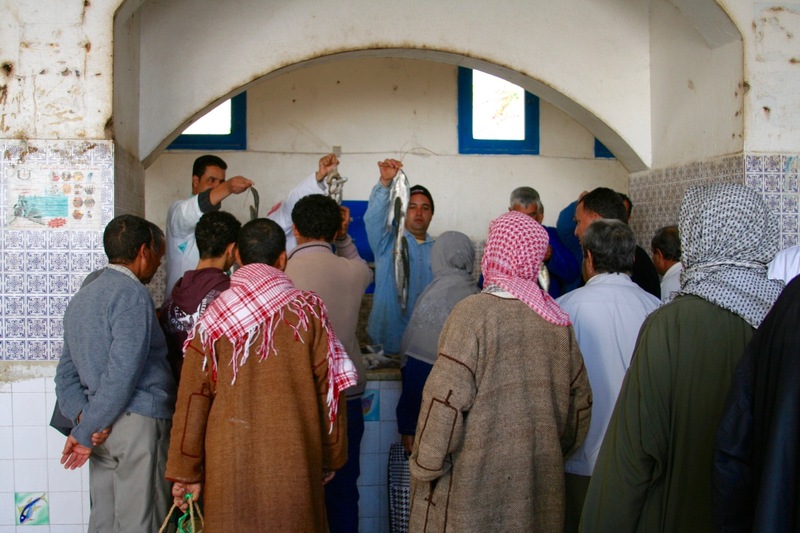 I pottered around until I found the fish market where energetic bidding was taking place on strings of fish. The auctioneer sat on a throne-like high chair so the crowd could see the fish he was holding, and a crush of people placed their bids. A few scrawny cats wandered around. 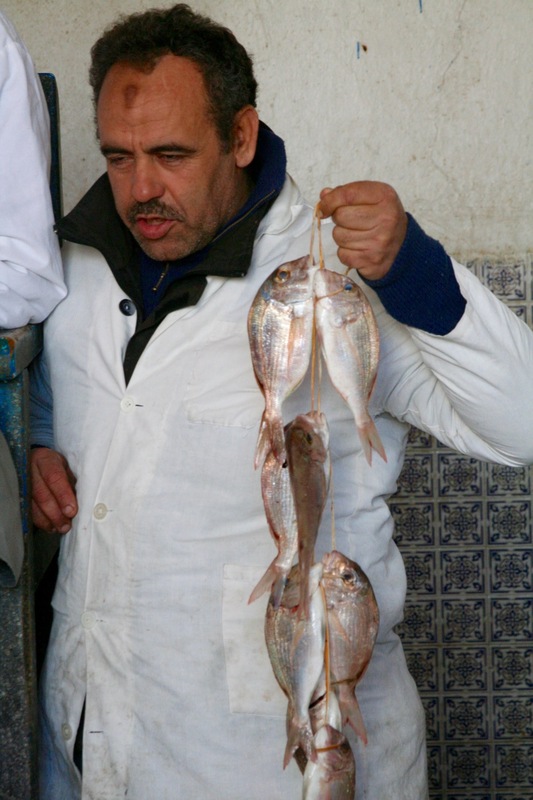 If you feel brave, you can bid on the fish and get them cooked at nearby restaurants. The market was a lot of fun, and afterwards I made my way on foot to the whitewashed buildings decorated with blue symbols in the Hara Kebira area. It’s a fascinating area, more for the fact that after two and a half millennia Jews still live cheek-by-jowl with the Muslim population. It’s not been an easy peace to achieve, and is constantly threatened, but it continues to exist. Occasionally you see people wearing a kippah, the typical Jewish cap, but the main sign that this is a Jewish area are the fish and Shabbat candlesticks painted on houses. 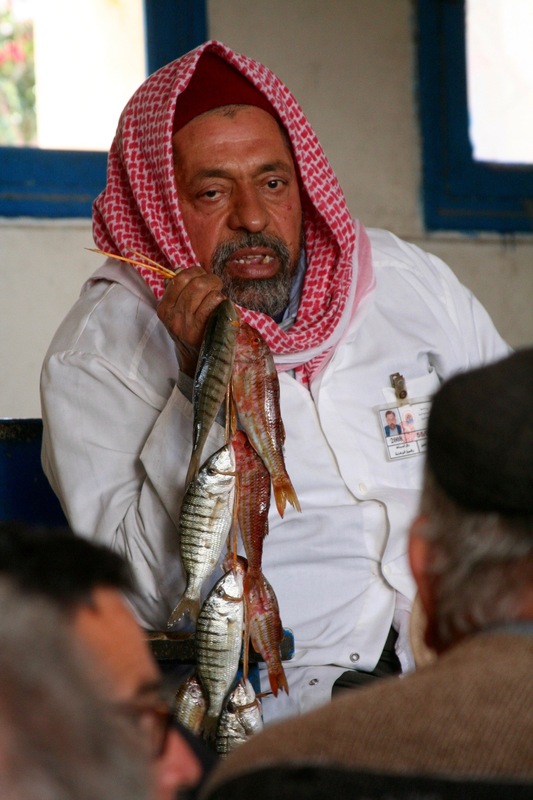 Fish are supposed to ward off the evil eye. I took that as my cue to leave, the next day I’d fly to Tunis and didn’t want to provoke the fates further. Fascinating. 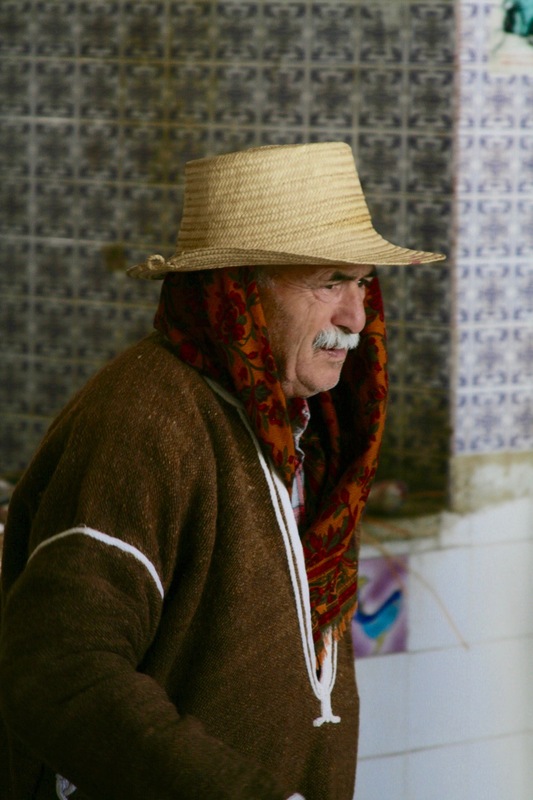 Markets are great for observing locals. Was surprised to see pop corn seller. Once again, love the architecture. 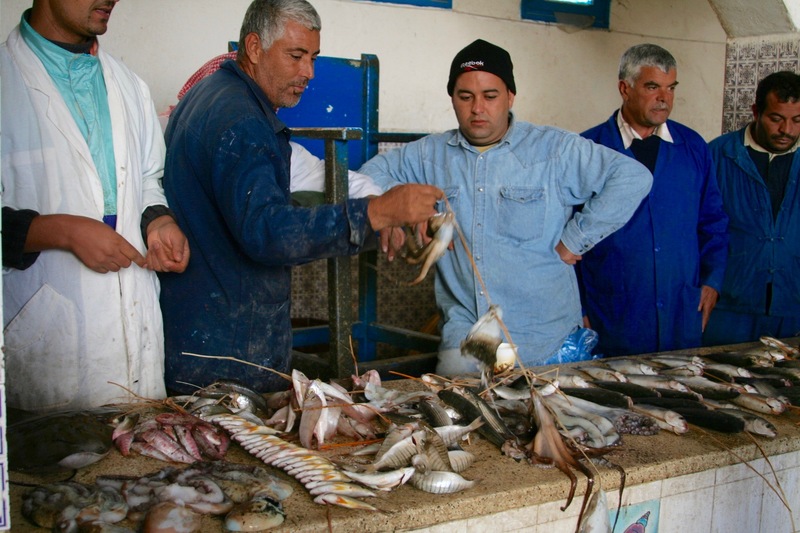 It was only a small fish market, but fun thanks to all the activity. There is something very special about the architecture in that region.